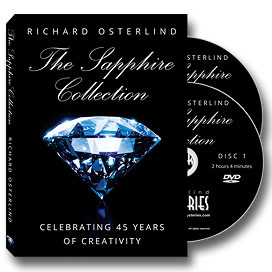 For 45 years, Richard Osterlind has been one of magic and mentalism's most prolific creators and The Sapphire Collection is a celebration of this milestone. 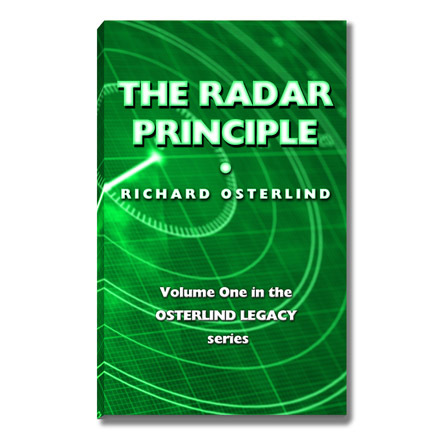 Featuring fifteen new and original Osterlind creations, this two-DVD set, like his legendary Mind Mysteries series, is destined to become essential viewing for aspiring and professional mystery performers alike. You'll see this powerful new material performed in front of an enthusiastic and awe-struck audience and then be taken behind the curtain as Richard, along with co-host Jim Sisti, dissects these effects in meticulous detail. What's more, The Sapphire Collection looks different than any other magic or mentalism DVD you've ever seen. Shot in an exciting cinematic style by a filmmaker, you'll feel the energy of the performances and the immediacy of the explanations in an unprecedented way. Impactful material presented and taught in an original and compelling way, The Sapphire Collection will reacquaint you with the pure power of strong and direct mentalism performed and taught by one of the art's most respected and influential performers and teachers. HANDS OFF – A stunning card effect that has baffled every person who has seen it! A card is freely selected from a deck and placed into the middle. You name where it is and what the name of the card is from across the room. You never touch the deck! POOR MAN'S BOOK TEST – An incredibly direct book test done with any borrowed book! This is appropriate for close-up or stage. 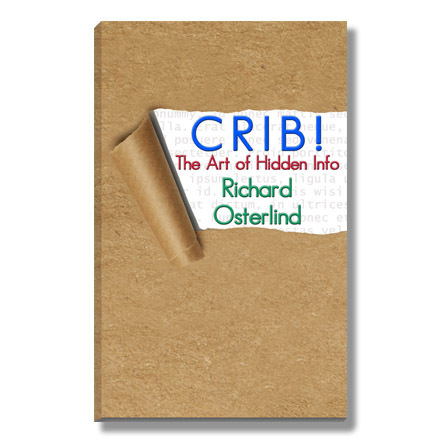 THE OSTERLIND READ – A new approach for doing a stage reading with a killer climax! Richard Webster now uses this in his show! MIND READING WITH CARDS – A spectator freely chooses a card without looking at it. She guesses what the card is and you tell her the card she guesses! Nothing is written and the card is only in her mind! QR TRANSPARENT FORCES – A thoroughly entertaining effect with the new Transparent Forces bag. Not only is the effect totally new, but the handling allows the spectator to take the bag into their own hands when making the selection! 3SP – Perhaps the best routine ever with an ESP deck! Three separate sections are all impossible with the routine growing in amazement as it progresses! WHISPERING DIE – An improved handling for this masterpiece of close-up mentalism with an ending that is totally impossible If you own this already you will be delighted. If not, you will want to order one right away! PERFECTED ADD-A-NUMBER – This is one of the highlights of this set! 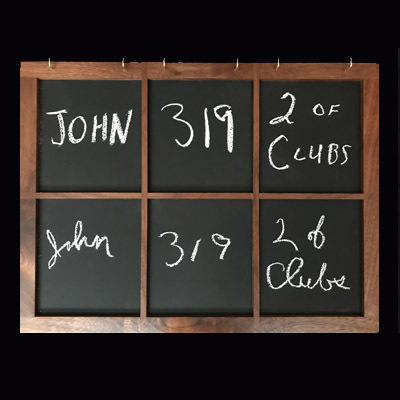 Numbers chosen by the audience are added up in the open. 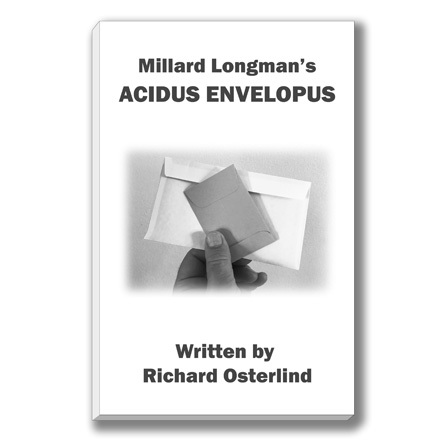 You show your “sealed in an envelope and folded “ prediction that matches the real numbers chosen by the audience! 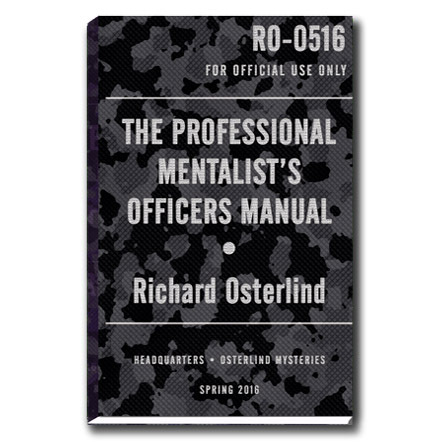 THOUGHTS ON MENTALISM 1 - The first half of an incredible talk between Richard and Jim. This essay cuts to the heart of what mentalism is! VINYL FOLDER Q&A – An incredible Q&A routine that you can put together with items from your local stationary store for under $50.00 and use the rest of your life! The tips and handling are worth ten times the cost of this entire set! NUMERIC VORTEX – See Richard use this RECENT creation in a routine that kills! This timely effect is current and thought provoking! 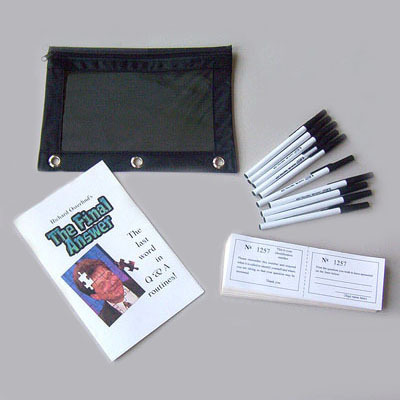 WANTED: DEAD OR ALIVE – A routine where you use some of your business cards and pencils to perform a stage effect! Richard and Jim cover many ideas and variations. OUT OF THE ROOM SELECTION – Taken from Kaplan’s The Fine Art of Magic, this staggering routine is on a par with Richard’s own Challenge Mind Reading! CHECK EFFECT – A routine where a bill or your paycheck is freely placed in one of five envelopes which you later identify without touching them and from across the room! You can use this as the main feature in your act! PENDULUM ROUTINE – Richard’s unique approach for using a pendulum. You can combine this idea in many ways with other pendulum effects you perform. The routine adds a new dimension for using a pendulum! ALMOST REAL PREDICTION – Richard’s variation for the fantastic Jack London effect. Richard has updated the routine to make it modern and logical. You can do this stage effect at any time and any place with just an ordinary pad and pen! This is knowledge you cannot afford not to have! THOUGHTS ON MENTALISM 2 – Richard and Jim complete their discussion on mentalism and the successful presentation of this wonderful art!